This paper proposes a three-level framework to detect texts in a single image. First, a salient feature map of text is extracted using a Fully Convolutional Network (FCN) that achieves good performance in semantic segmentation. Label combination using both boxes of word and characters level is proposed to improve the detection of uneven boundaries of text regions. Second, in the feature map of FCN, the text region has a higher probability value than the background region, and the coordinates in the character area are very close to each other. We segment the text area and the background area by using the characteristics of text feature map with Hierarchical Cluster Analysis (HCA). Finally, we applied a Convolutional Neural Networks (CNN) to classify the candidate text area into text and non-text. In this paper, we used CNN which can classify 4 classes in total by separating the background area and three text classes (one character, two characters, three characters or more). The text detection framework proposed in this paper have shown good performance with ICDAR 2015, and high performance especially in Recall criterion, finding more texts than other algorithms. Recommended by Associate Editor Kang-Hyun Jo under the direction of Editor Euntai Kim. This work was supported by the National Research Foundation of Korea(NRF) grant funded by the Korea government(MSIT) (2016R1A2B4007608), and National IT Industry Promotion Agency(NIPA) grant funded by the Korea government(MSIT) (S0249-19-1019). Hong-Hyun Kim received his B.S. degree in School of Mechanical Engineering from Pusan National University, Busan, Korea in 2012. He is currently in Unified Master and Doctor's course at the same graduate school. His research interests include deep learning, machine learning, and pattern recognition. Jae-Ho Jo received his B.S. degree in School of Computer Science and Engineering from Pusan National University, Pusan, Korea in 2014 and an M.S. degree in Mechanical Engineering from Pusan National University, Busan, Korea in 2016. Now, he is a research engineer in Hanhwa-Techwin R&D Center. His research interests include machine learning, and computer vision. Zhu Teng received her B.S. and Ph.D. degrees in Automation from Central South University, China, 2006 and in Mechanical Engineering of Pusan National University, Korea, 2013, respectively. She is now an associate professor in the School of Computer and Information Technology, Beijing Jiatong University. Her current research interests are visual tracking, deep learning, and computer vision. Dong-Joong Kang received his B.S. degree in Precision Engineering from Pusan National University, Busan, Korea, in 1988 and his M.S. and Ph.D. degrees in Mechanical, and Automation & Design Engineering from KAIST, Korea, in 1990 and 1999, respectively. Now, he is a professor at the School of Mechanical Engineering in Pusan National University. 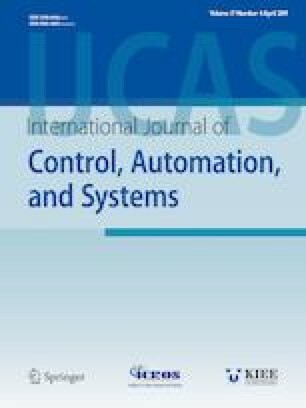 He is also an associate editor of the International Journal of Control, Automation, and Systems since 2007. His current research interests are machine vision, machine learning, and visual inspection in factory.